J&J Lawn Service Inc. provides commercial lawn care. Keeping your commercial garden and property looking its best is a big job that requires regular attention. Your business exterior provides your customers with their first impression of your company as a whole. It’s important to make sure that your landscaping is properly maintained in order to keep your business front attractive and appealing to customers. Curb Appeal is very important. A beautiful lawn simply does not happen by itself. Our company offers property maintenance services for commercial properties. 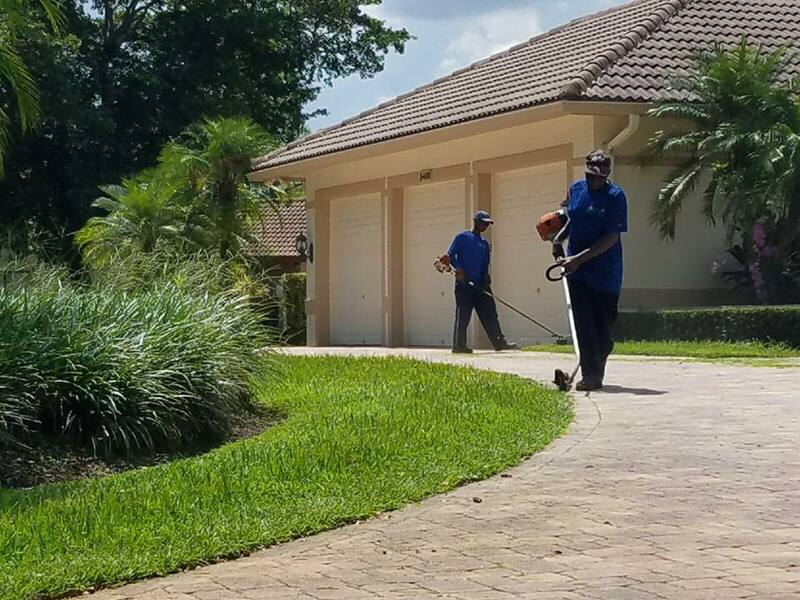 We have been serving customers since 1985 in the Coral Springs, Parkland, Margate, Tamarac, Coconut Creek and Lighthouse Point areas and we are a trusted name in commercial landscaping and lawn care services. Whether it’s to attract new customers, keep tenants or make sure Homeowners Association (HOA) members are proud of their community, your property should look great year round. From a small city lot to large commercial jobs, we have the equipment, expertise and team to get the job done. Contact our property maintenance team to learn more about our grounds care services and schedule a free consultation. 954-732-5008 Let J&J Lawn Service Inc provide you with Commercial Lawn Care. « Lawn Care Tip: Overwatering….Turn off your sprinklers!